Tribalist gvt blames computer glitch for tribally motivated teacher recruitment,deploying Shona teachers in Bulawayo primary schools last week . The government of Zimbabwe is not doing the people of Matabeleland any favour by withdrawing Shona teachers it deployed in Bulawayo primary schools, this should not have happened in the first place. MLO condemns in all strongest terms, the deployment of Shona civil servants in Matabeleland as it is the second phase of subtle Matabeleland genocide. After the tribalist government was caught in the act deploying Shona teachers in Bulawayo primary schools last week, it blamed a computer based teachers recruitment software for the tribally motivated teacher recruitment. What a flimsy and lame excuse! Even a 5 year old primary school kid cannot believe this hogwash. The fact of the matter is the tribalistic government of Zimbabwe has been deploying Shona teachers into Matabeleland infant level schools since 1980. We wonder if it is the same “computer based teachers recruitment software” that is responsible for the previous tribalistic recruitments. she said the Shona teachers would be withdrawn. MLO would not be surprised to find all those teachers in Matabeleland classrooms in a few months time. MLO is aware that Shona deployments in Matabeleland are not limited to the Ministry of Education Only. In line with the evil Grand Plan of 1979, the government of Zimbabwe has been deploying Shona civil servants in all government departments in Matabeleland. This includes Shona nurses and doctors in Matabeleland hospitals, Shona commissioners and police persons in Matabeleland police stations, Shona officials in Matabeleland Home Affairs offices, Shona wardens and managers in Matabeleland prisons and Shona lawyers, prosecutors and judges in Matabeleland courts to name but just a few. The above institutions are staffed with an alarming 85 to 90℅ Shona personnel in Matabeleland while those in Mashonaland remain undiluted Shonas only zones. We also note with great interest that 3 months into 2019 this is the second Shona deployment scandal to be exposed in Bulawayo. The first one was at Rainbow Hotel where its General Manager Innocent Kufa hired contractors from Harare and bused in people from Mashonaland to renovate the hotel, claiming Matabeles where not qualified to do construction work. 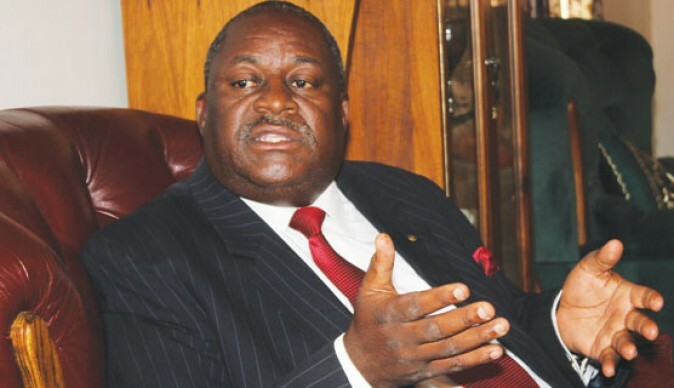 MLO demands that the Shona civil servants deployed in Matabeleland must also be withdrawn with immediate effect or else they will be the collateral damage in the event of breaking hostilities. Again we ask, where are Zimbabwe opposition parties like the MDC Alliance and its partners, the so called paragons of democracy and human rights? Once again the silence is deafening. Chamisa who promised to remove Shona teachers in Matabeleland during the election season is nowhere to be found and has lost his voice. “As soon as we get into power we will solve the problem of teachers being deployed to work in areas where they can not speak the local language. “When we are done with sorting the teachers we will then move to sorting out the nurses and the police who must also be able to speak local languages,” Chamisa told a rally in Plumtree on the eve of elections last year. It is very easy to lie but hard to walk the talk especially if one is part of the Shona supremacist system. Perhaps he will regain his voice and reappear in the next vote harvesting season, that is if Matabeleland will still be under Zimbabwe. 2 rescued, 2 dead, one missing, several injured at St Charles Lwanga Seminary Secondary in Chimanimani in rock fall on dormitory.